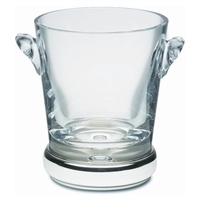 Plain crystal wine cooler from the Winemaster range by Dartington Crystal. 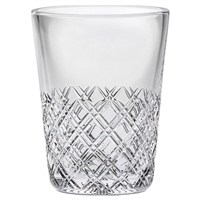 Lead crystal British hand cut traditional ice bucket pale by Royal Scot Crystal, Tartan design. Gift boxed. 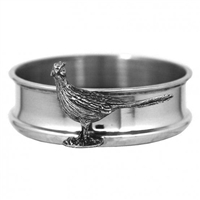 English pewter and wood bottle coaster with shooting themed pheasant motif. Gift boxed. Hand finished at our silversmiths in Birmingham with a central feature hallmarked disc this piece offers something a little different. 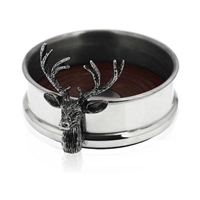 English pewter and wood wine bottle coaster with proud stag head motif. Gift boxed. 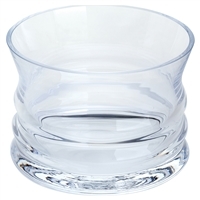 Sterling 925 silver and glass drinks coaster. 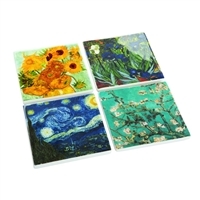 Sold in sets or individually. British made. 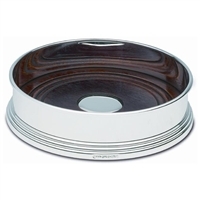 Sterling 925 Silver Bottle Coaster, Basket Weave Design with Mahogany Base. Made in England. 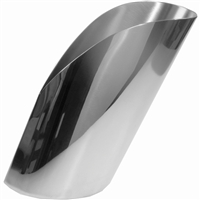 Crystal Krosno ice bucket with hallmarked sterling silver base collar. 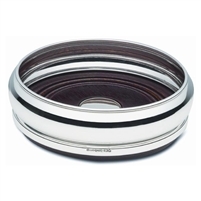 Sterling Silver Bottle Coaster with Straight Sides and Mahogany Base. Made in England. 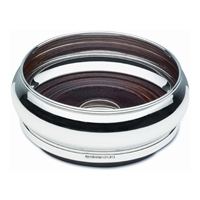 Sterling 925 Silver Bottle Coaster, Barrel Style with Mahogany Base. Made in England. 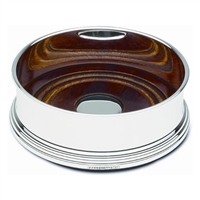 Sterling Silver Barrel Style Champagne or Magnum Bottle Coaster, Heavy Gauge with Mahogany Base. Made in England. Sterling Silver and Welsh Slate Drinks Coasters. Individual or Sets. 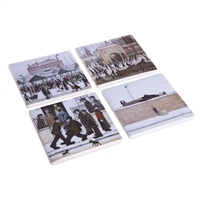 Sterling Silver & Welsh Slate Drinks Coaster Mats. British Made. Sterling Silver and Welsh Slate Bottle Coaster, Barrel Style. Solid 925 Silver hallmarked barrel shaped bottle coaster with Welsh slate base. Made in England & Delivered Gift boxed.